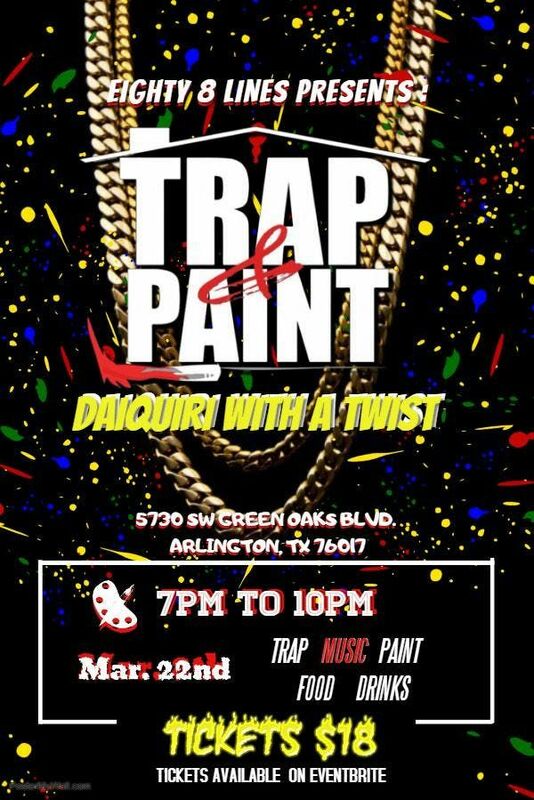 Come out to one of the dopest "Trap N Paint" parties in the metroplex at Daiquiri With A Twist! Grab your crew and get ready for the ULTIMATE Friday Turn-Up! We will keep you dancing and the daiquiris will keep you LIT! 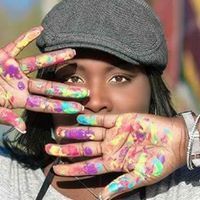 There will be multiple paint options and "No experience necessary"! We also have NEW paint designs on deck! Early bird tickets are just $15 but prices will change to $18 so hurry and take advantage of the sale! 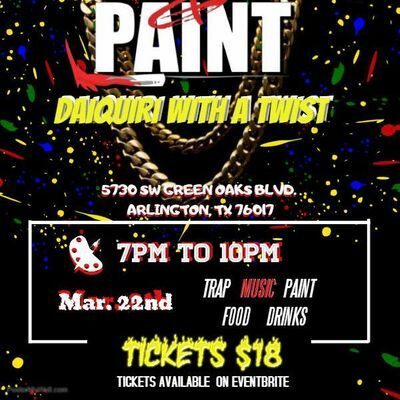 Tickets at the door will be $20, please don't wait seating is limited and tickets sale out FAST so secure your spot today!!!! !